Blog: Dibrox®, the cost-effective herbicide for you pond or lake! Pond and lakeshores full of aquatic weeds can be one of biggest annoyances of summer. Lucky for you, Lake Restoration has a cost-effective herbicide called Dibrox® that is quickly absorbed by submerged plants. Just mix it with water, spray it on the surface of your water, and watch all your submerged weeds go away in just 17-21 days! 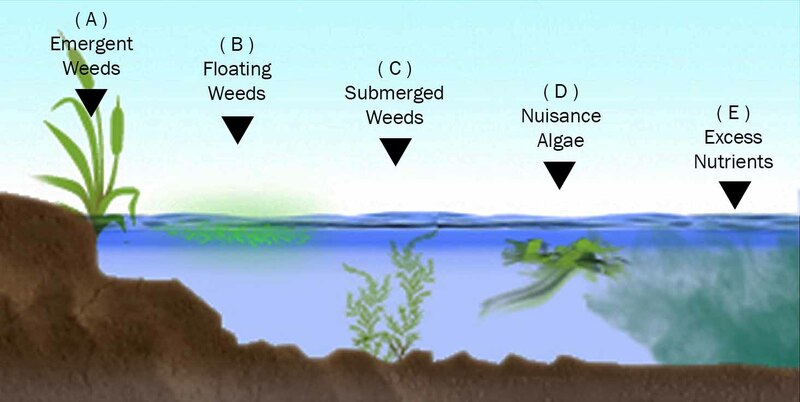 It kills a wide variety of submerged weeds including Hydrilla, Milfoil, Pondweed, Elodea, and is one of Lake Restoration’s most effective Duckweed Herbicides. Because Duckweed is such an aggressive and invasive plant, killing it is not easy. Dibrox®, though, kills Duckweed in just 5-7 days! Dibrox® is extremely similar to Diquat—its main active ingredient is even 37.3% Diquat; however, Dibrox® is a more cost-effective product. Dibrox is approximately 30% cheaper than Diquat and just as effective. Dibrox is also EPA approved, and there are no swimming or fishing restrictions after application. Dibrox® truly is the product to keep your aquatic weeds in control. To learn more information about this pond and lake weed killer visit Lake Restorations website, www.LakeRestoration.com, or give our experts a call at 763-428-9777. If you have used Dibrox® and loved your results, leave us a review on Google, and let us know on social media (Facebook, Twitter, Instagram). Say goodbye to your weeds with Dibrox®!